The holiday season did not go well for many retailers, they are now reporting that online and brick and mortar sales slumped leading up to Christmas. Trump and the patriots are in complete control, they know the plans of the deep state, to crash the economy in 2020, Q warned us that they knew of this plan. Trump will use the Fed to avoid a crash during this period. 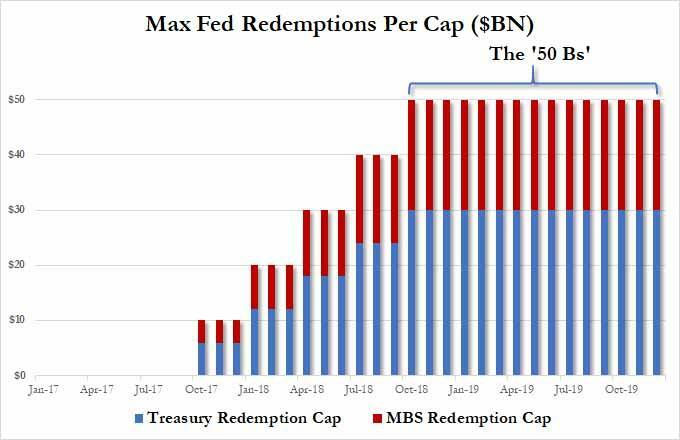 The central banks are now telegraphing that they are trapped and they are worried about the political force on the Fed not to help other central banks in a crisis. The Covington event had many agendas associated with it. The FBI raided Roger Stones house and CNN was on the scene, how did they know? This is all part of the plan, military planning at its finest. The arrest had nothing do with Russian collusion which shows again there is no Russian collusion. Trump reopened the government, did he cave on the wall, no, he used a tactical move. The storm is upon us and all the pieces are being put into place, the clock is ticking. companies including Macy’s, Nordstrom and Signet all said they struggled badly over the critical December shopping period. Macy’s said sales fell off after Black Friday and Cyber Monday until the week of Christmas, and it cut its sales forecast. The surprise report rattled companies throughout the industry. the central bank’s top policy makers are seriously considering maintaining a larger balance sheet than what the central bank had initially anticipated when it stopped reinvesting the proceeds from expiring holdings. the International Monetary Fund has warned the system of global cooperation that saved world finance in the 2008 crisis may break down if there is another major shock or a deep recession. David Lipton, the IMF’s second-highest official, said it is unclear whether the US Federal Reserve would again be able to extend $1 trillion of dollar “swap lines” to fellow central banks – the critical measure that halted a dangerous chain-reaction after the collapse of Lehman Brothers and AIG. Who knew? Trump’s top White House attorney is Covington Catholic High School graduate. What does Cipollone’s White House role have to do with last week’s incident in Washington, D.C., involving current CovCath students? The FBI raided Roger Stones Home, they raided his home in full gear, CNN was there during the raid, how exactly was CNN there, how did they know this was about to happen. Maybe a @JudicialWatch FOIA will uncover how CNN found out about the Stone raid. It turns out crooked Cop Comey’s special assistant. Josh Campbell later landed a gig with CNN as a law enforcement analyst. On Friday morning CNN was the only news organization in the Miami, Florida area that was tipped off of Roger Stones pre-dawn arrest. The entire predawn raid of Roger Stone’s home was captured by the anti-Trump channel CNN. CNN reporter David Shortell told CNN hosts he had an intuition to get to Roger Stone’s house and set up his camera crew before the pre-dawn raid. Shortell just happened to have his camera’s set up before the FBI arrived to arrest Stone? 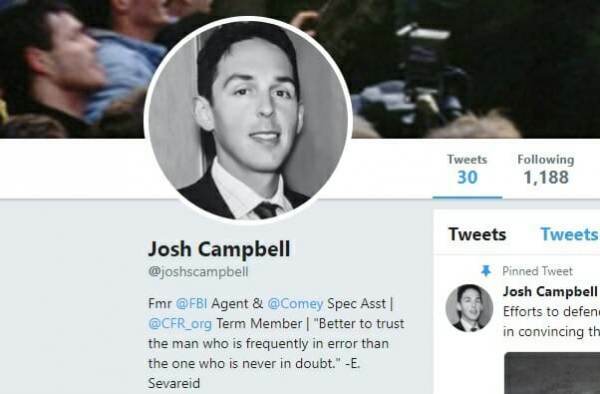 Comey’s former assistant Josh Campbell works for CNN and they just happened to have a van at #RogerStone’s house at 6am. Curious. Mueller indictment of Stone details Clinton communications with and pressure on Wikileaks about emails. Will Clinton operation be investigated? Roger Stone was fired from Trumps Campaign back in Aug 2015. The indictment against Roger Stone makes no allegation that the longtime Trump associate conspired with Russia or WikiLeaks. Instead, Stone is accused of lying to Congress about communication he had with Trump campaign officials and other associates about his efforts to find out what information WikiLeaks had during the 2016 campaign. The indictment appears to undercut some of the Democratic-backed conspiracies of a vast conspiracy between the Trump team and Russia to hack and disseminate emails stolen from Democrats. What is Trump and the patriots doing, lets use logical thinking. The entire plan revolves around tramping the MSM and the DS and using their tactics against them. When you see these events they are done for a reason. George Papadopoulos, former Trump campaign foreign policy adviser, was arrested in July 2017 and pleaded guilty in October 2017 to making false statements to the FBI. Paul Manafort, Trump’s former campaign chair, was indicted on a total of 25 different counts by Mueller’s team, related mainly to his past work for Ukrainian politicians and his finances. He had two trials scheduled, and the first ended in a conviction on eight counts of financial crimes. To avert the second trial, Manafort struck a plea deal with Mueller in September 2018 (though Mueller’s team said in November that he breached that agreement by lying to them). Rick Gates, a former Trump campaign aide and Manafort’s longtime junior business partner, was indicted on similar charges to Manafort. But in February 2018 he agreed to a plea deal with Mueller’s team, pleading guilty to just one false statements charge and one conspiracy charge. Michael Flynn, Trump’s former national security adviser, pleaded guilty in December 2017 to making false statements to the FBI. Michael Cohen: In August 2018, Trump’s former lawyer pleaded guilty to 8 counts — tax and bank charges, related to his finances and taxi business, and campaign finance violations — . But in November, he made a plea deal with Mueller too, for lying to Congress about efforts to build a Trump Tower in Moscow. An Update on RBG she has been missing in action for close to a Month?? Trump is ready to sign a bill that will open the government for 3 weeks, brilliant move, the spotlight is on the house and senate. Says he reached a deal. Says He has “a very powerful alternative” but he didn’t want to use it at this time. He also has the National Emergency in his back pocket. A sudden fire broke out inside Comet ping-pong Pizza around nine p.m. on Wednesday. “All of a sudden we see these flames. A fire has been started — a very big fire,” said witness Nicole Lafragola.